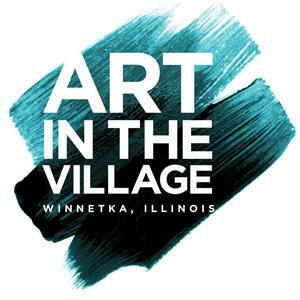 North Shore Art League, the 94 year old arts organization located in Winnetka, IL, will be bringing its national juried show, Art in the Village, to Winnetka's Hubbard Woods Park again this summer. On Saturday, June 22nd and Sunday, June 23rd, the park will be bustling with artists from across the country exhibiting their works to enthusiastic art buyers. The park provides a beautiful setting. Conveniently located along Green Bay Road, there is plenty of free parking within the Hubbard Woods Design District of the village. The League is locally well-known with close ties to the Art Institute of Chicago, Columbia College and many art galleries, schools and organizations throughout the area. This 6th Annual Art in the Village show will be well promoted. Friendly and helpful staff will be on hand for easy set-ups/take-downs. Ads will be placed in the Chicago Tribune, Winnetka Current, and various North Shore local papers as well as sponsor websites, eblasts, posters, banners and possible radio broadcasts on site. "You and your staff were as artist friendly as I could ask for. There was plenty of water, help and everything else I hope to find in a show." "We had a terrific weekend. Very helpful and friendly volunteers. Wonderful community involvement. A great balance of high quality artwork. Keep doing what you're doing! Thank you for allowing us to participate!" "Just a quick note to say a big THANK YOU for putting on such a wonderful, sweet, successful show! Thank you for all your hard work and for all the great volunteers! You have a great organization and I feel fortunate to have been a part of it this year. The public was very appreciative and knowledgeable about what was being exhibited and many paintings found new homes. So ... congratulations on a great event, great volunteers, great staff, great setting and an overall wonderful experience!"